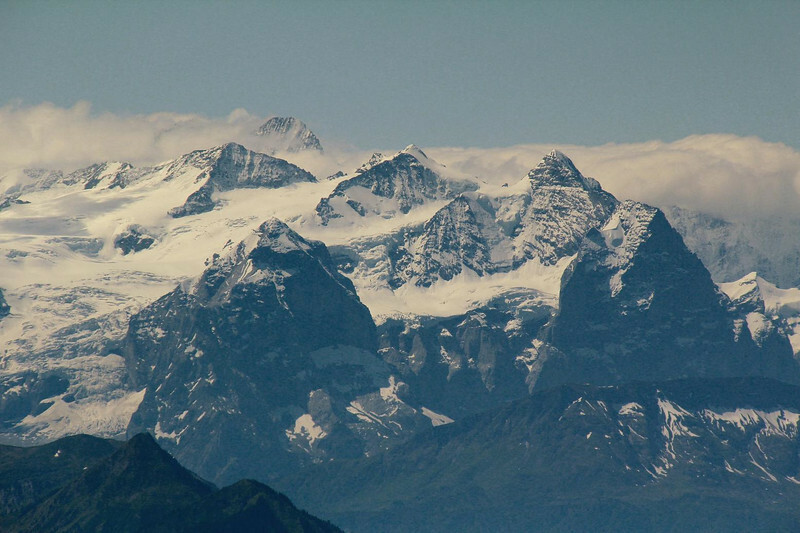 200 MM telephoto look at the famous Monch, Junfrau and Eiger mountains of the Alps. Taken from Mt. Pilatus near Lucerne. Distance is about 32 miles.